Each time I go to vote I simply go to a polling booth, give my name and address, state that I haven’t voted previously in this election and I’m given a voting paper. I don't need to give any identification. 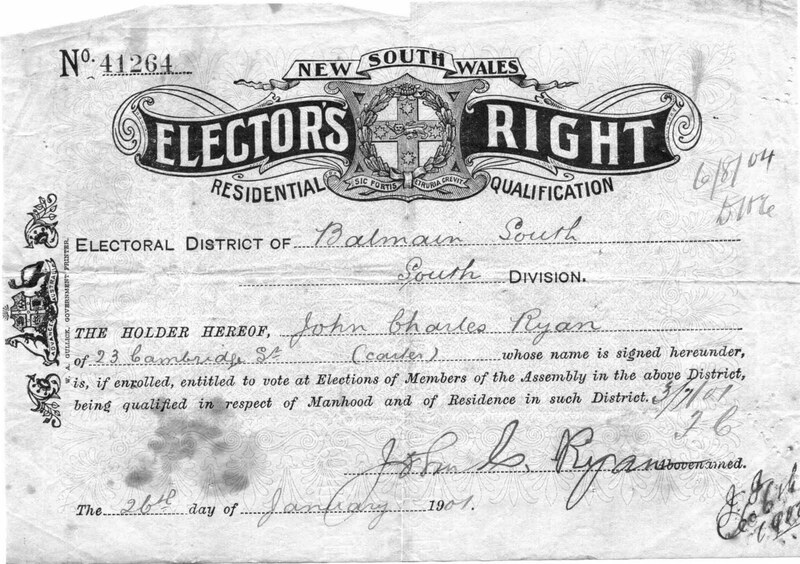 One hundred and ten years ago, my great grandfather Michael Patrick Ryan and his father John Charles Ryan had to produce their New South Wales Elector’s Right Residential Qualification papers to vote. 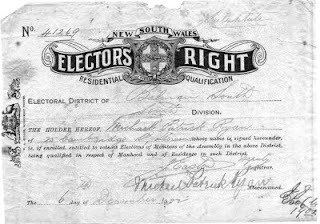 The Wikipedia article The Electoral Atlas of New South Wales states that the 1893 Act had adopted a Voter’s Right document that a voter presented to be checked off the roll before a ballot paper was issued. In 1900, the compilation of annual rolls was made a function of the local police and Elector’s Rights were abolished in 1906. 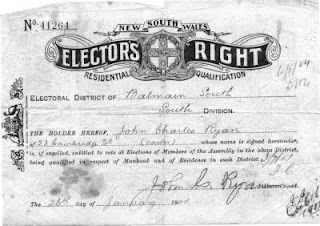 Amongst our family papers are another pair of treasures, original Elector’s Rights of John Charles Ryan, carter and Michael Patrick Ryan, storeman of 23 Cambridge Street, Balmain. 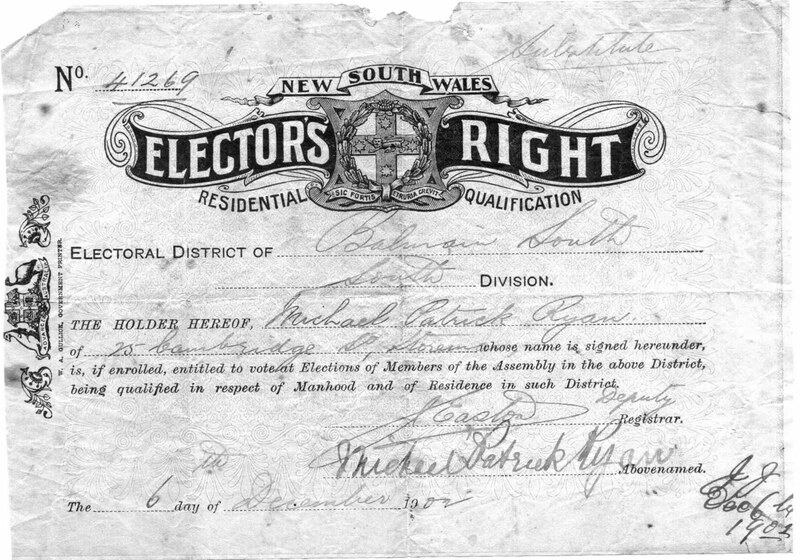 If enrolled they were entitled to vote at Elections of Members of the Assembly in the electoral district of Balmain. They were qualified in respect of Manhood and of Residence in Balmain district. Ditto to what Pauleen said! These are lovely.